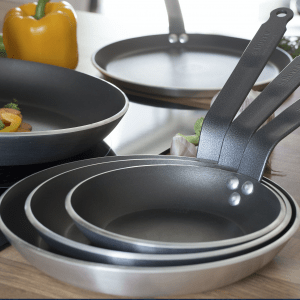 A range made of thick aluminium with PFOA-free PTFE 5-layer coating. 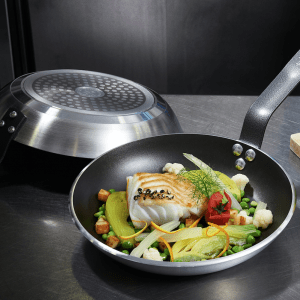 A professional non-stick range made with thick aluminium with high quality, multi-layer, non-stick coating. 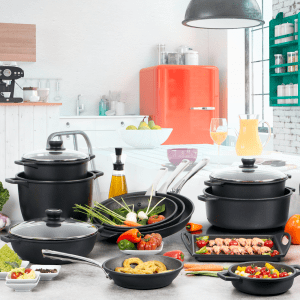 Ideal for gentle and delicate cooking, slow cooking, heating and warming up dishes. Made in France.